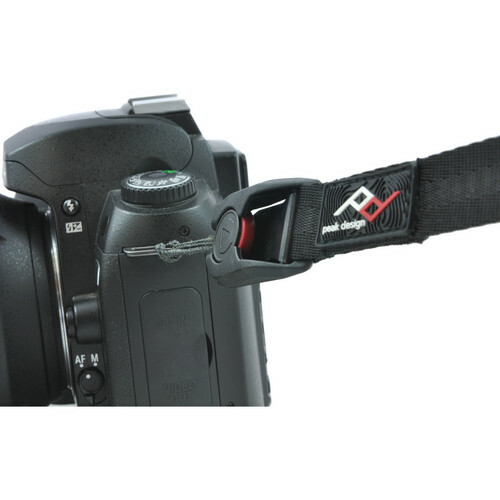 The Leash Camera Strap from Peak Design is a quick-connect system that mounts to any piece of equipment that has a loop or D-ring. 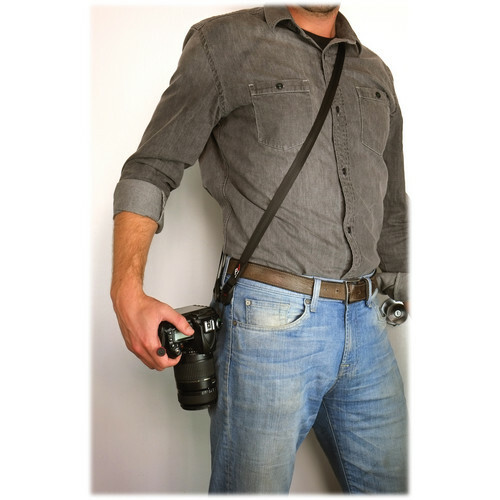 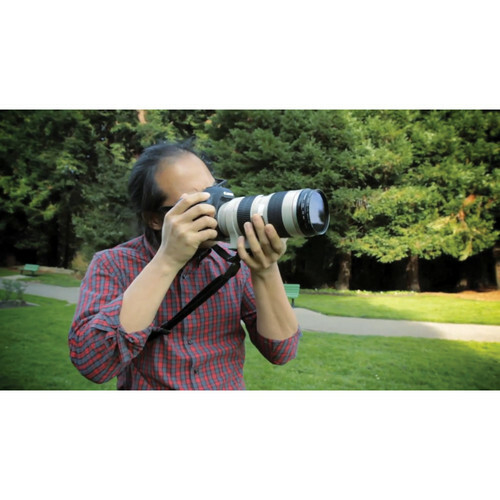 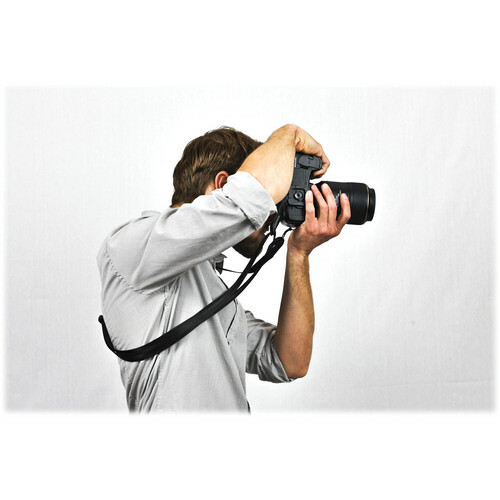 Use it as a neck or sling strap for your DSLR, video, mirrorless or point-and-shoot camera. 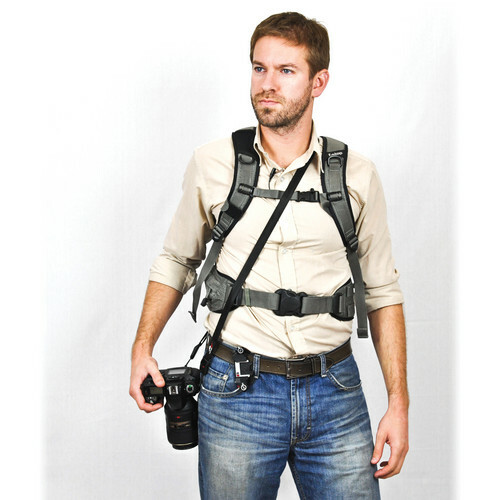 It also works with binoculars, water bottles, and compasses. 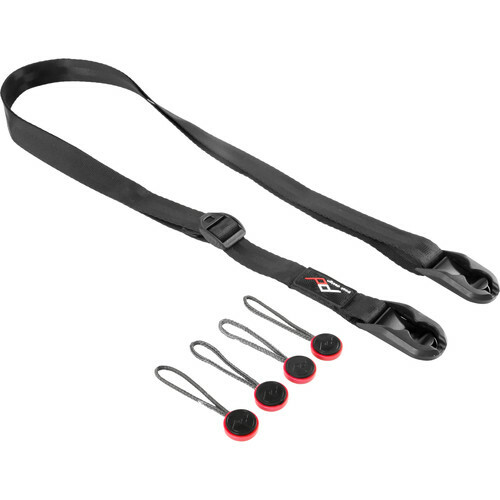 The strap is designed to smoothly glide across your shoulder and raise your gear to eye level.